Featuring industry first innovations such as IP audio, Livewire and Shoutcast support, audio backup, advanced control and optional Orban Inside™. Big transmitter features for unmatched value. 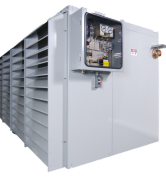 Many transmitters in the 300 W to 2.5 kW class use an inexpensive analog exciter that is sometimes an external unit. But in the VS Series, not only did Nautel engineers integrate the exciter, they implemented a true direct-to-channel digital exciter to achieve class leading performance. That means crystal clear audio and outstanding value. A great achievement considering that digital exciters alone usually sell for over US $10,000. The VS300 and VS1 transmitters with their built-in RDS generator, GPS input, powerful presets and -90 dB SNR make for powerful and extremely cost-effective exciters. 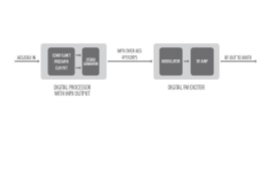 Easy upgrade path to digital broadcasting. The VS300 is the most advanced type-certified Low Power FM transmitter available, and is ideal for use by community, religious, educational, and other non-profit radio groups. Breathe new life into your tube transmitter by adding the most advanced and reliable low power FM transmitter available as an exciter. Instantly gain the entire feature set of the award-winning VS Series transmitters. New features, superior audio performance, improved reliability, and a host of audio input and audio back-up sources make the upgrade to a VS Series Exciter one of the most cost effective, feature rich improvements you can make to your main or stand-by transmitter. VS transmitters are ideal for implementation as AM translators. Interested in a Nautel transmitter? Contact our sales team for pricing and delivery information. 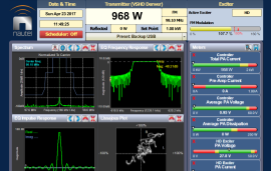 Nautel’s transmitters to place enhanced control into the hands of engineers so that they could become more efficient in their work, whether they are local to the transmitter or remote, using the award-winning AUI. 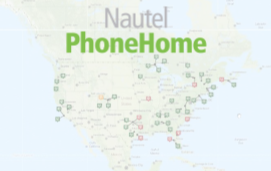 Nautel PhoneHome is a virtual watch dog that continuously monitors and logs all critical parameters of your transmitter, diagnosing problems sometimes before they can affect transmitter performance. 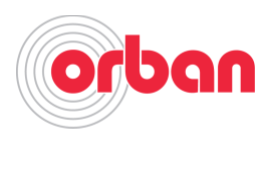 For the first time ever, Orban’s signature processing is integrated directly into a transmitter via an economical plug-in DSP card. For a limited time you can pick either FREE Orban Inside™ or take $1,000, $2,000, or $3,000 off your VS300, VS1, or VS2.5 respectively. Many transmitters in the 300 W to 2.5 kW class use an inexpensive analog exciter that is sometimes an external unit. 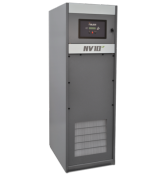 In the VS Series, not only did Nautel engineers integrate the exciter, they implemented a true direct-to-channel digital exciter to achieve class leading performance. That means crystal clear audio and outstanding value. A great achievement considering that digital exciters alone usually sell for over US $10,000. The VS300 and VS1 transmitters with their built-in RDS generator, gps input, powerful presets and -90dB SNR make for powerful and extremely cost-effective exciters. The VS Series are the first transmitters ever to implement Axia’s Livewire Studio to Transmitter Audio over IP Workflow. The result is a seamless digital IP audio path from a host of Livewire compatible devices directly into a Nautel transmitter ensuring outstanding audio purity via a CAT 5 cable. If you stream your station on SHOUTcast you can even use it as an input should your STL fail. When you add this much intelligence and IP I/O to a transmitter you’ll be amazed by what you can do. 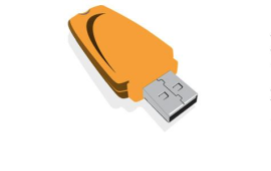 Nautel added a USB port so that you can connect huge local storage for content, or even load up the songs and content using the VS internet connection. Once you have audio loaded it can become part of the automated back up audio capability should all other connections fail. Maybe you have clear plans for digital broadcasting or maybe you’re not so sure but you’d like to know that your investment today keeps all of your options open. Thanks to the optional VS digital upgrade unit – VSHD Digital Exciter – HD Radio® broadcasting can be easily accomplished. 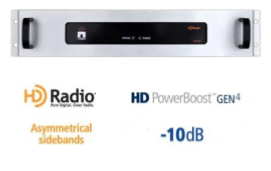 Staying true to the concept of big transmitter features in a low power system, Nautel even brings its award winning HD PowerBoost™ GEN4 option and free asymmetrical sideband functionality to the digital VS systems. All to help you maximize your digital coverage and all shipping today. Every VS Series transmitter is the result of years of Nautel design expertise and is crafted completely within Nautel’s North American manufacturing facilities. 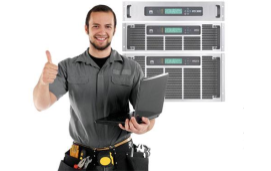 Rack-mount, value-optimized packaging, easy-to-access washable air filters, published parts lists, and screw driver replaceable power amplifiers make living with your VS transmitter easy for years to come. Join the growing ranks of 1000’s of customers who have deployed VS Series transmitters and learn why Nautel transmitters and support are counted on for decades of service. 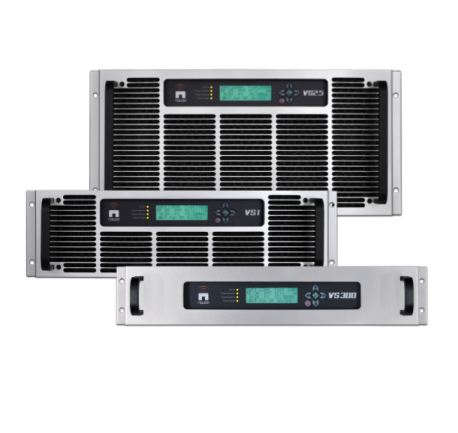 Building on the local audio storage capabilities of Nautel’s VS transmitters and leveraging the AUI control system, Nautel PUSHRADIO™ allows networked broadcasters to dramatically reduce program distribution costs, improve reliability and facilitate local content. 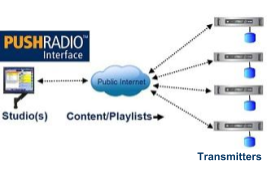 From anywhere in the world, content can be delivered via low-cost Internet connections, and different content can be delivered to each transmitter, allowing each site to have local content in its programming. You can set-up basic automation capabilities, send new content as audio files, and send updated playlists to the transmitter, which then plays the content locally. 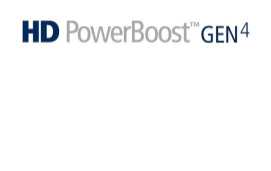 Nautel’s award-winning HD PowerBoost™ GEN4 is a revolutionary technology that increases HD Radio® power output while at the same time increasing efficiency, and addresses the FCC HD injection level increase ruling. 100% digital path eliminates the noise and distortion of A/D converters and reduces potential overshoots, while ensuring full FCC mask compliance. 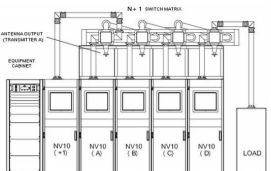 Nautel N+1 configurations support up to six identical main transmitters plus a backup transmitter serving outputs of 300 watts to 40 kilowatts of solid-state power.